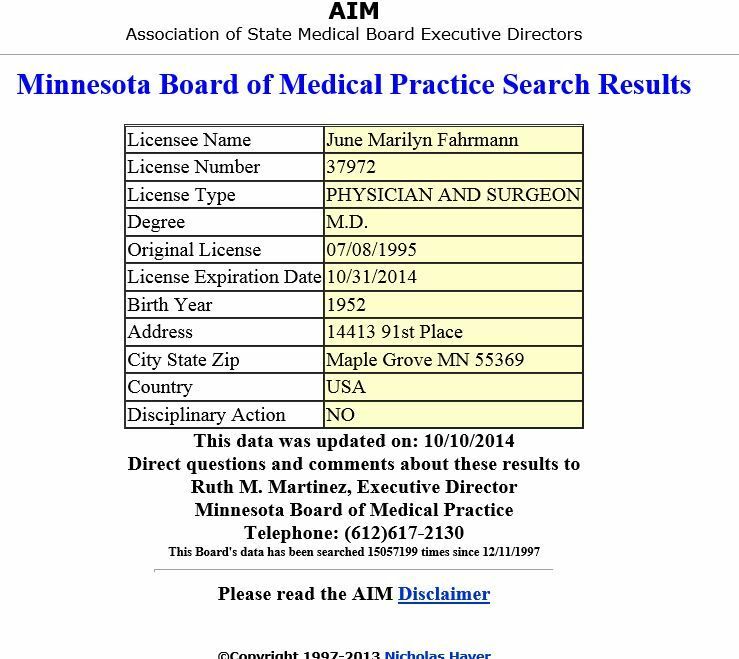 Profile for medical license in Minnesota. Other corporate filing for Robbinsdale Clinic. June Fahrmann is CEO. Corporate documents for Robbinsdale Clinic, managed by June Fahrmann.